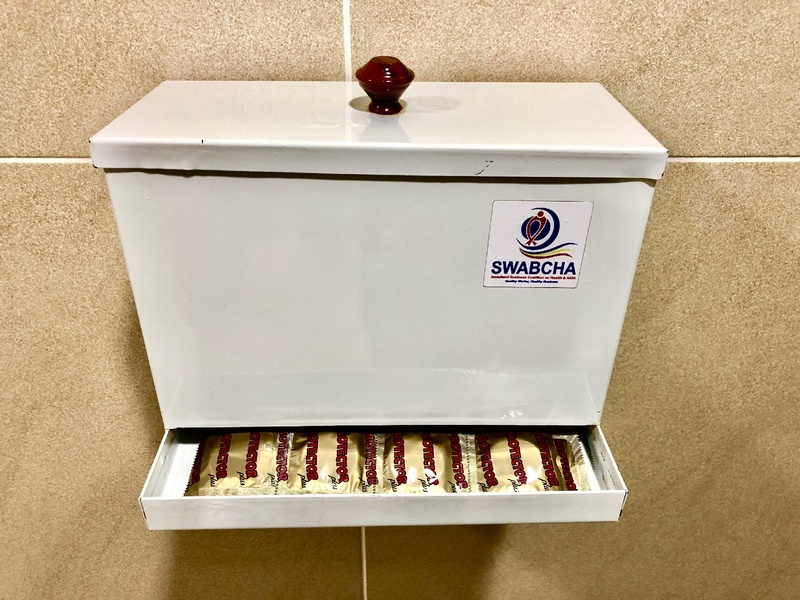 If there was one underlying and unofficial “theme” of this July trip of twelve African nations, it would simply be the reminder and reenforcement that country-to-country, this continent is just so different. Different languages, customs, appearances, economics, and even different stress-levels. 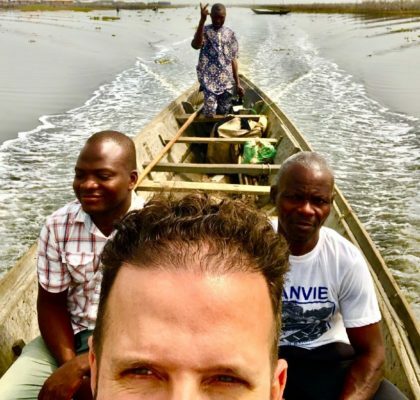 Just days ago, I was in Nigeria, and although I loved visiting Lagos, the stress level was high: crazy traffic, an intimidating crime rate, even just getting the visa required an attorney and a whole lotta dough. 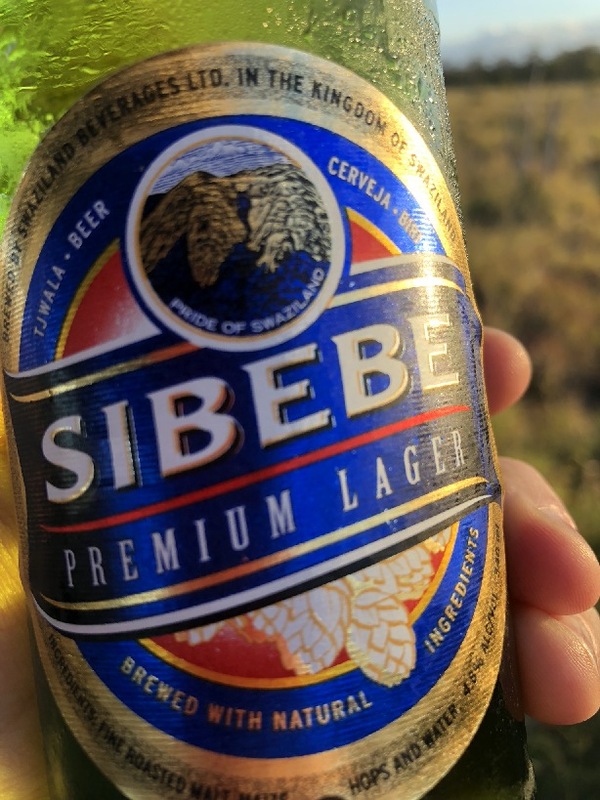 Eswatini, on the other hand, was on the complete other end of the “stress spectrum,” and probably my most laid back stop on this month-long African journey. 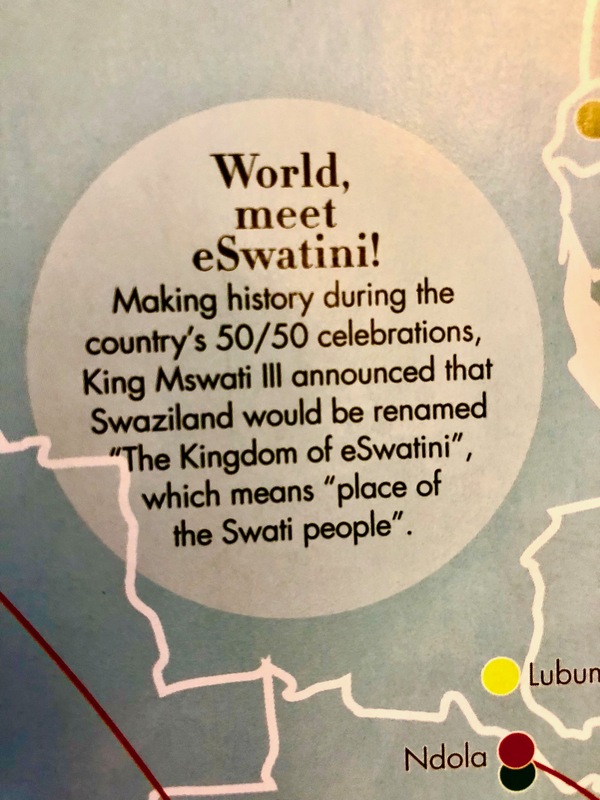 If you’ve never heard of the the nation of Eswatini, that’s because it literally just had a name change. 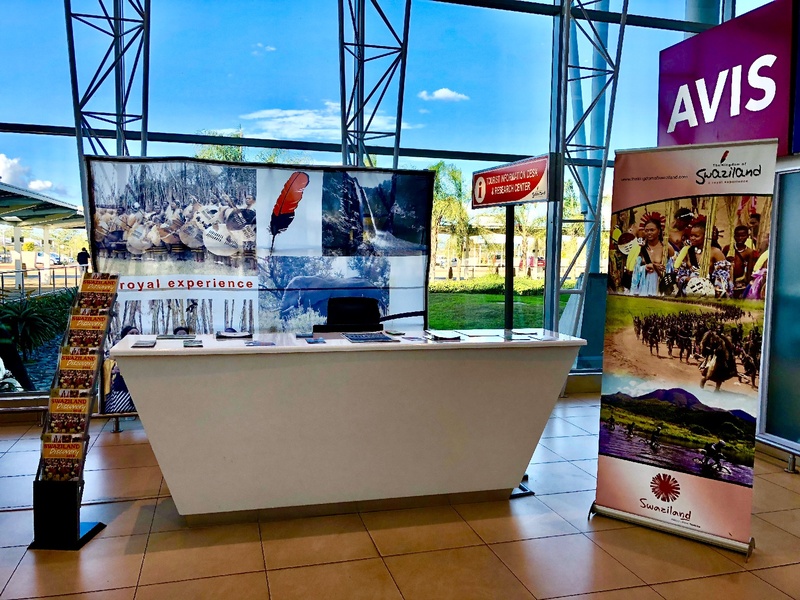 It’s the artist formerly known as Swaziland, and there’s still some debate on whether or not the name change–ordered by the king–was legitimate or not. 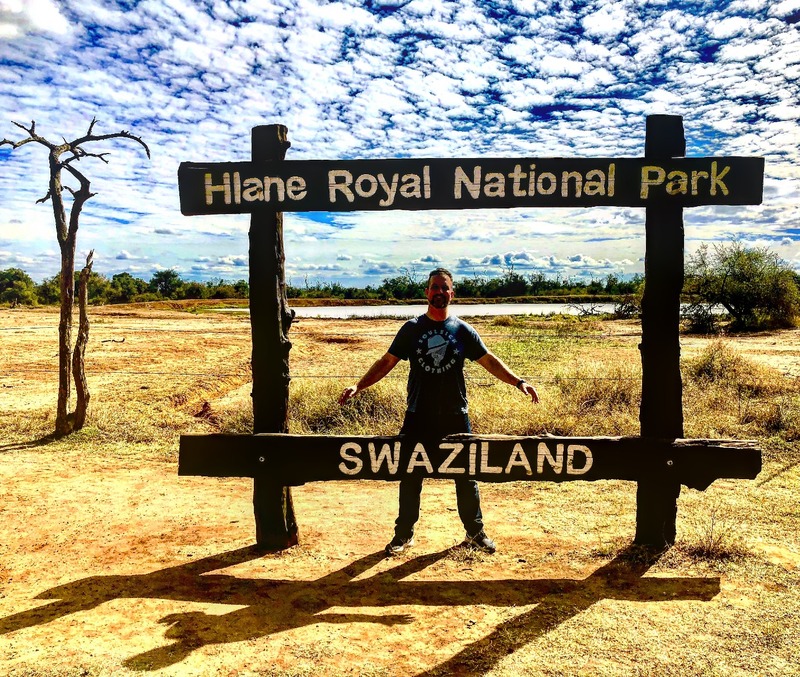 So who knows–it may end up reverting back to Swaziland, but when I visited, it was the newly named Eswatini. And who am I to argue with the king? 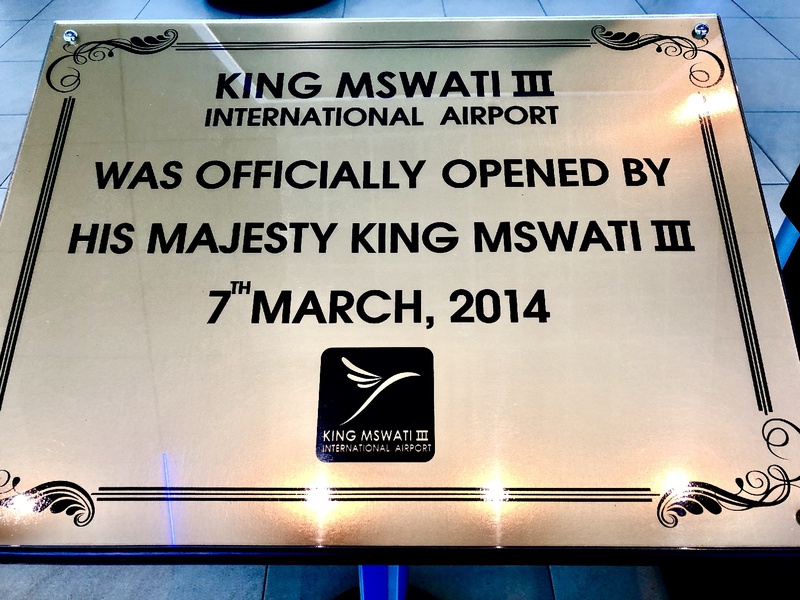 When I was planning my trip, I noticed that the new King Mswati III International Airport (my only option) wasn’t anywhere near the capital. It was really in the middle of nowhere. It would be a two-hour drive to Mbabane, but Hlane Royal National Park was only but 30 minutes away. When I found out I could actually stay overnight at the park, the deal was sealed. I’d forgo the city for some chill time at the park to relax and see the animals. A sky like no other. 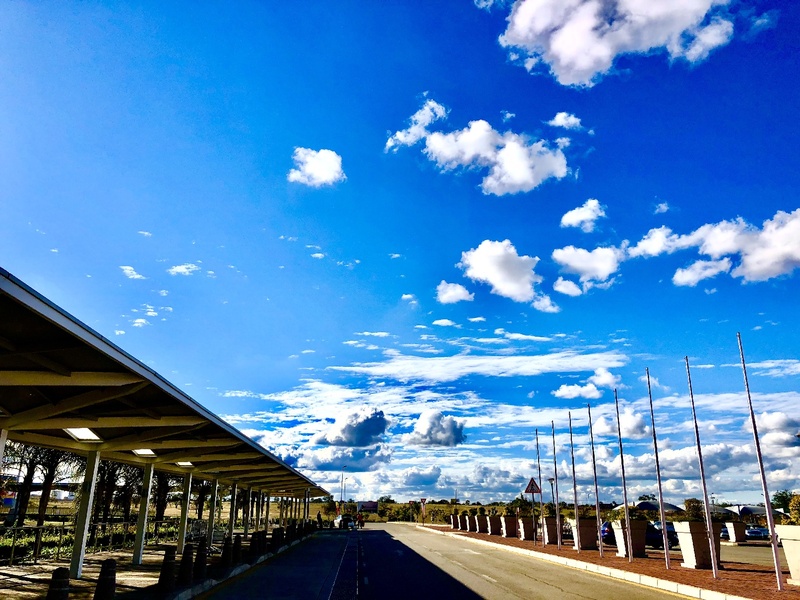 The very first thing I noticed when stepping out of the airport, was Eswatini’s big blue sky. It was amazing. I still don’t know why it looked so different to me, but it did. Big. Blue. Bold. It seemed like it went on forever and was the brightest hue of blue I’d ever seen in the natural sky. 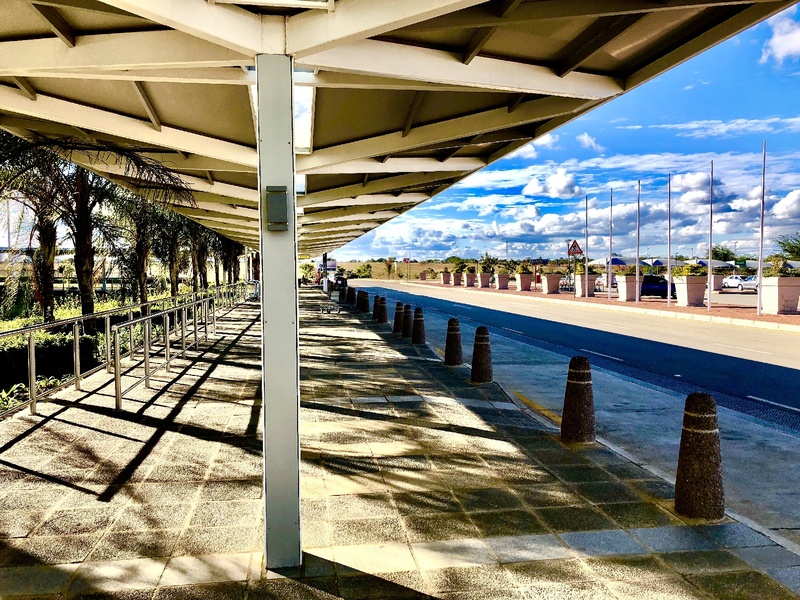 The outside of the airport was unusually serene. 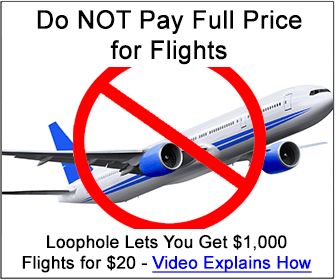 No crowds, no hustlers, no line of taxis, no honking, no overhead intercom announcements. Just peace. 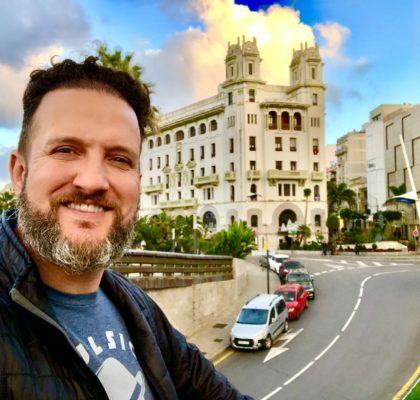 It felt like I had escaped all of the chaos that is Africa, and had landed in some sort of utopia…the kind of scene that would rival the location in Blind Melon‘s No Rain video. Where was I??? The half-hour drive to the park was relaxing and scenic, and soon we were pulling into the property, going through a series of gates, a check-in post, and then right up to the reception where the taxi let me out. I immediately loved the park, whose center attraction was a giant watering hole where the rhinos were congregating. Even if that was it–all the animals I’d see–I’d probably be okay with that. 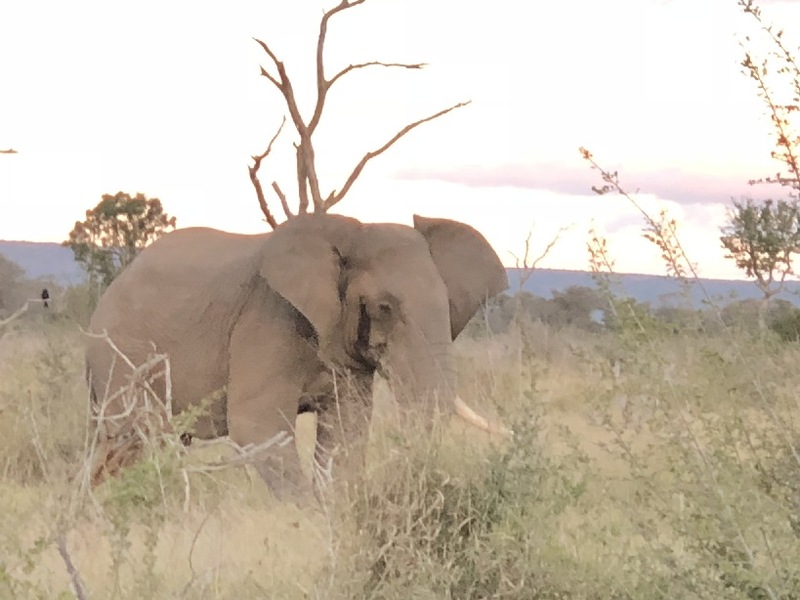 It was just so cool seeing these massive animals just hanging out. I did a double take when I first saw them. 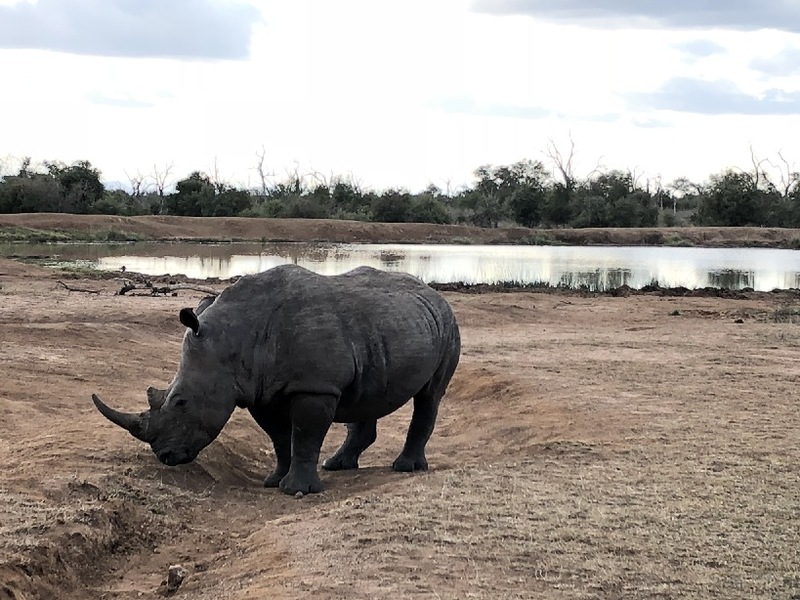 Well hello there Mr. Rhino. I only had a few minutes to thrown down my bags before my safari drive. 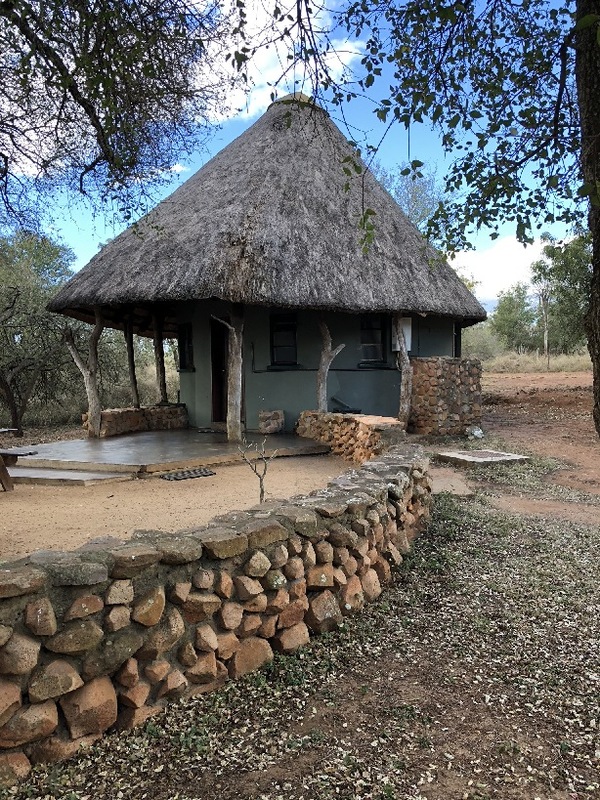 I was staying in one of a handful of cool little thatch-roofed houses spaced out around the grounds, not too far from the watering hole. It was a nice room. Not fancy, but clean. No TV, no electricity. I hoped no spiders. 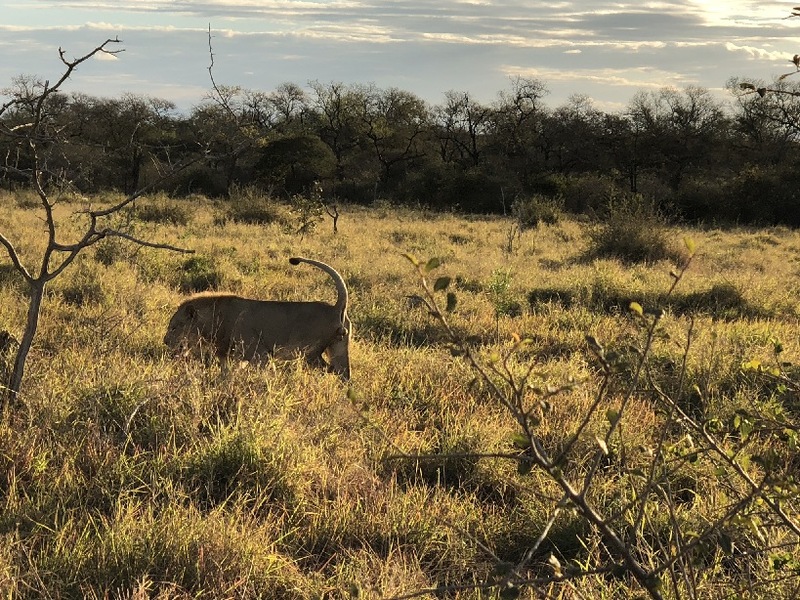 Soon I was in the back of a little safari-vehicle–very much like the one a few days ago in Namibia–and we were off for a two-hour sunset “game drive.” We got close to exotic birds, antelope, elephants…even lions! It was relaxing and exciting all at the same time. 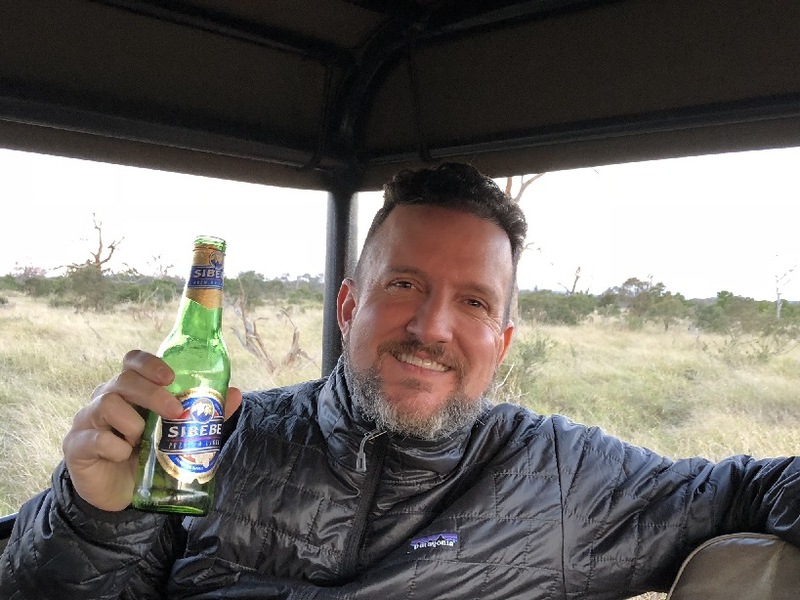 We sipped beers as we explored the savannas and trails, returning to the lodge just after dark. 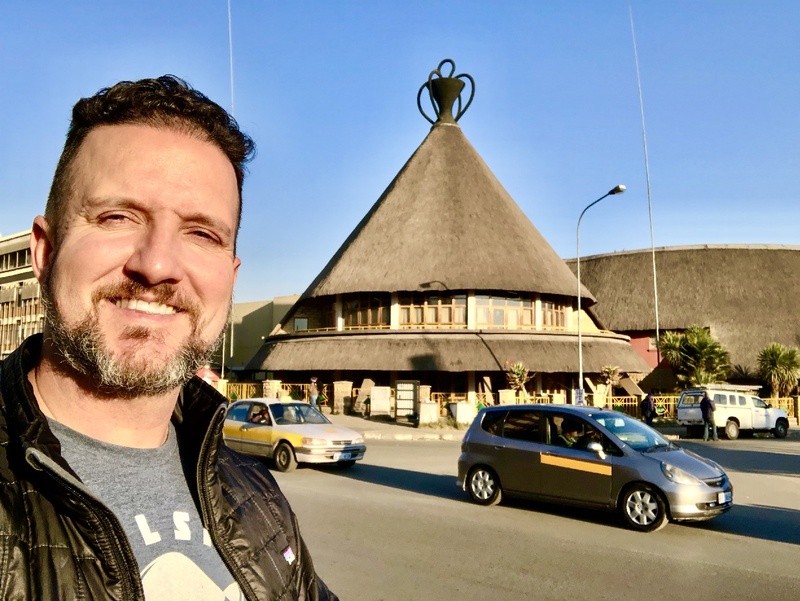 I enjoyed the buffet at the lodge and finally had a chance to try pap, a local staple that I’d missed in Lesotho. (But did I really miss it?) 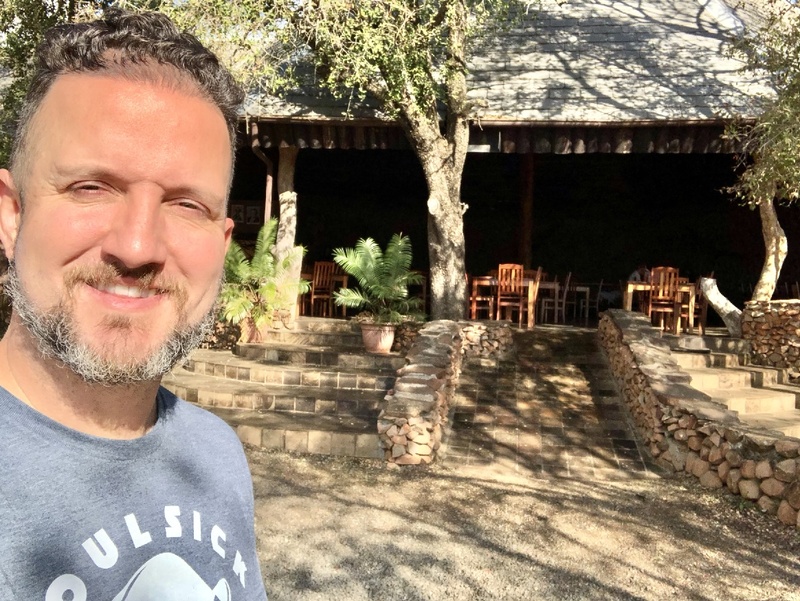 The German family that I shared my safari truck with insisted I eat with them–nice people–a husband, wife and three kids, one of them obsessed with America. The boy, very polite and curious, asked me some really fun and interesting questions throughout the night. His dream is to find a job and move to New York City. We all had a fun time. Getting back to the room in the dark was a challenge, but fun. There were a few lanterns spaced out along the way. It took me a while to find the keyhole to my door, but I finally managed to make my way back inside. The staff had lit the two lanterns inside my room for me. No TV, no WiFi, not even a radio. 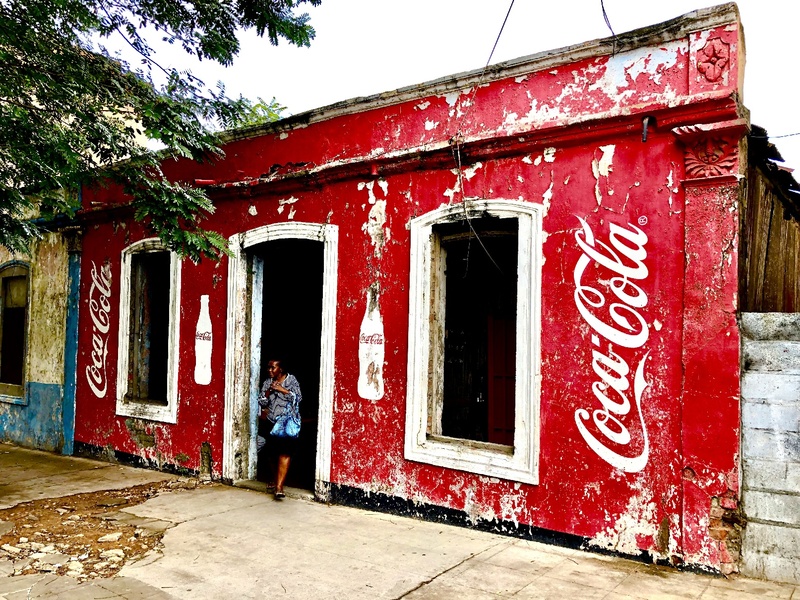 And while I really do love (and maybe even prefer) solo travel, this is one stop I think I would have rather had some female company. I discovered (and smashed) a little spider that was inside my sleeping net and prayed I didn’t see anymore. The sleep meds kicked in soon and I enjoyed a refreshing night’s rest. It felt good to sleep in. I spotted a decent sized spider on the wall while I was packing and was so grateful I didn’t see him last night. 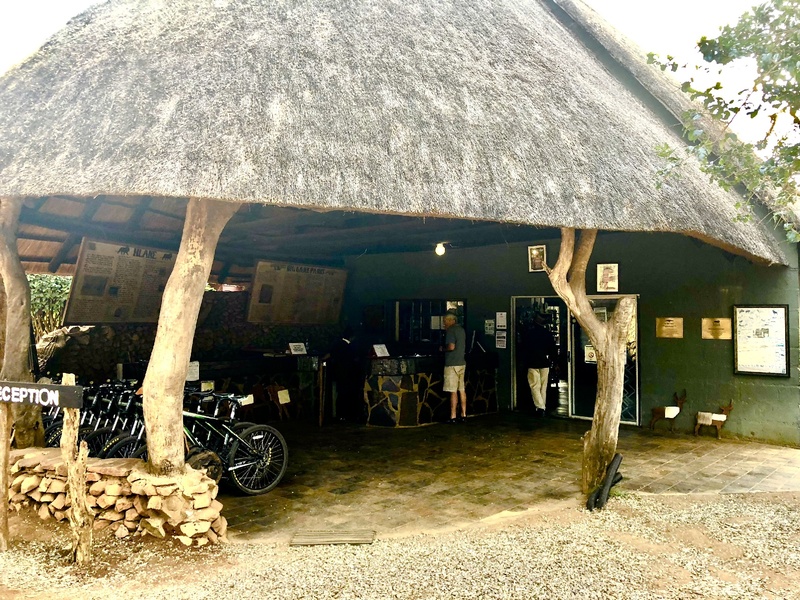 That was my cue to leave, as I packed up quickly and headed out for an early lunch at the restaurant and then hung out for a few hours before my ride came. 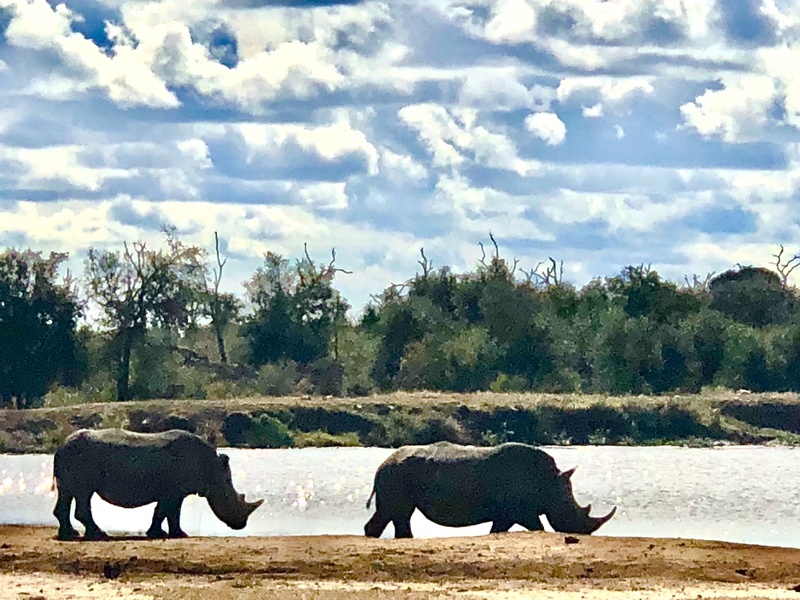 I spent my time just relaxing–sipping tea and watching the rhinos and hippos sunbathe while a group of impalas played. It was almost too relaxing. 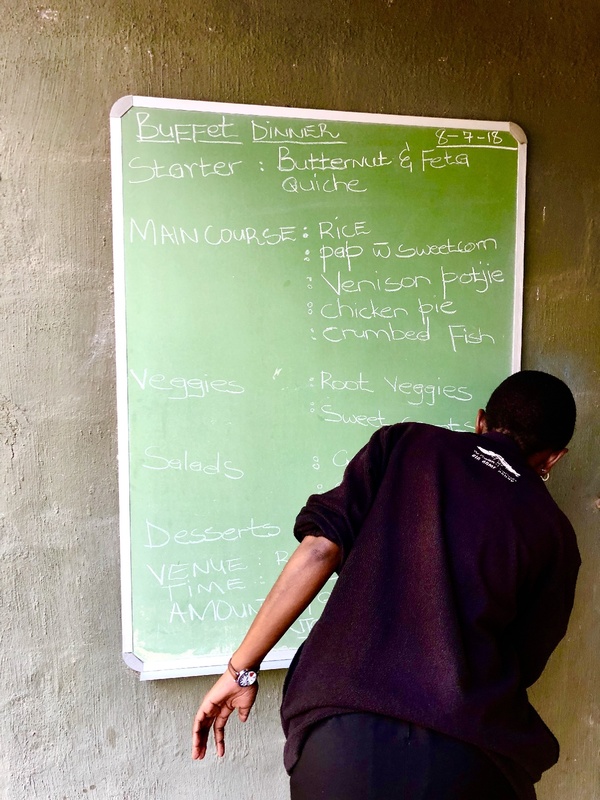 While I was mildly disappointed I didn’t get to visit the capital, Mbabane, this chill pit stop was just what I needed midway inside my chaotic twelve-country trip that would have me on over 20 airplanes in three weeks. The reception at Royal Hlane Park. 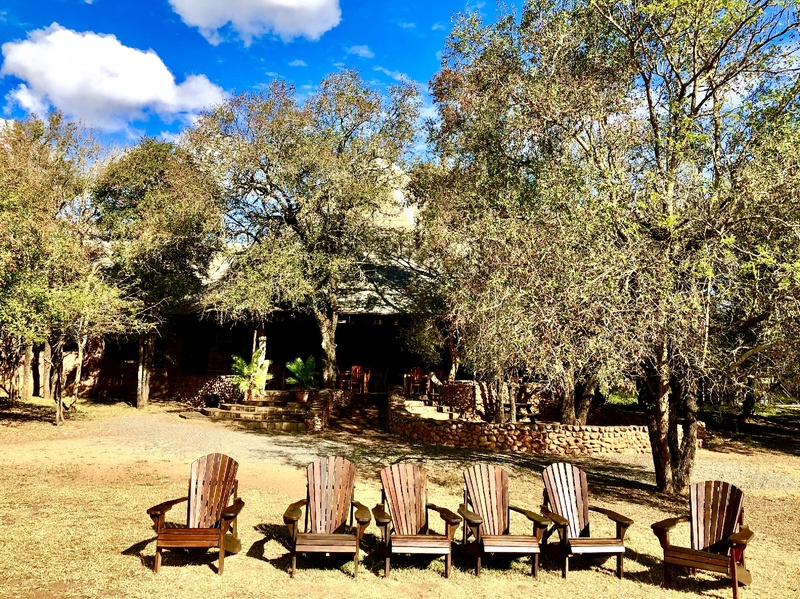 Wooden chairs set out to watch the rhinos. 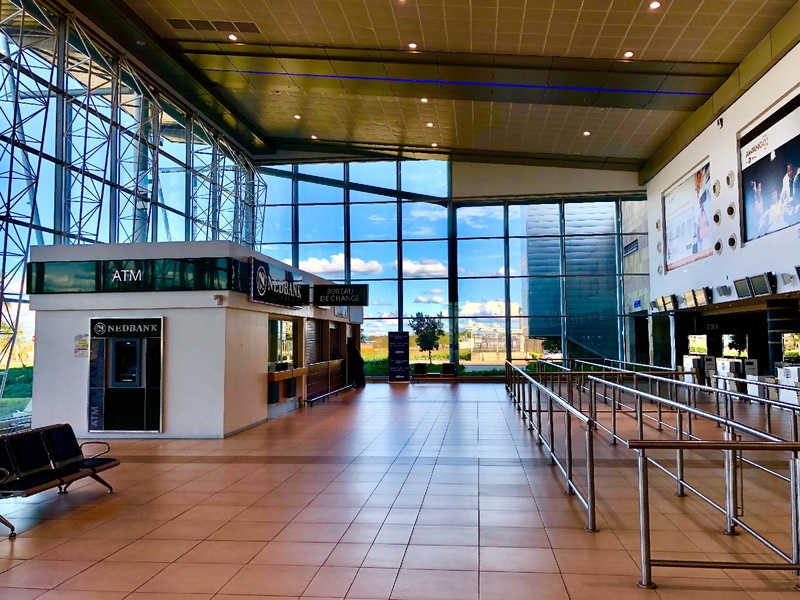 I’ve never bragged on or even mentioned an airport this much in my life (except for Philly International), but I was blown away at how nice, new, big and clean Swaziland’s international airport was. 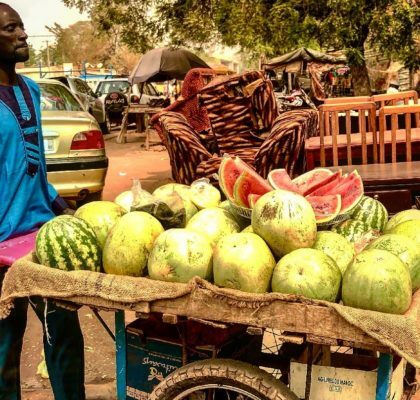 Unless you’ve traveled extensively throughout Africa, you may be thinking, “So what? 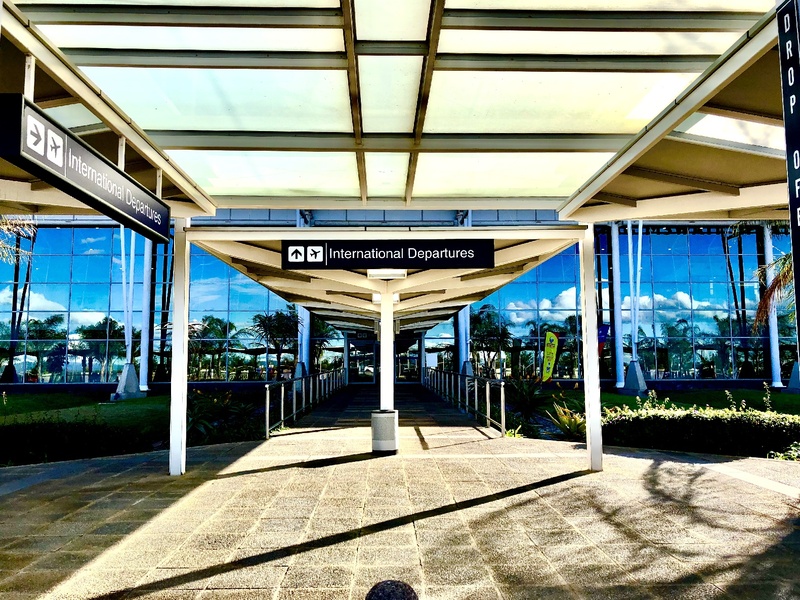 What’s the big deal?” But if you have been to airports throughout Africa, outside of the big ones like Joburg, Addis, etc., you know why I’m making such a big deal about this. 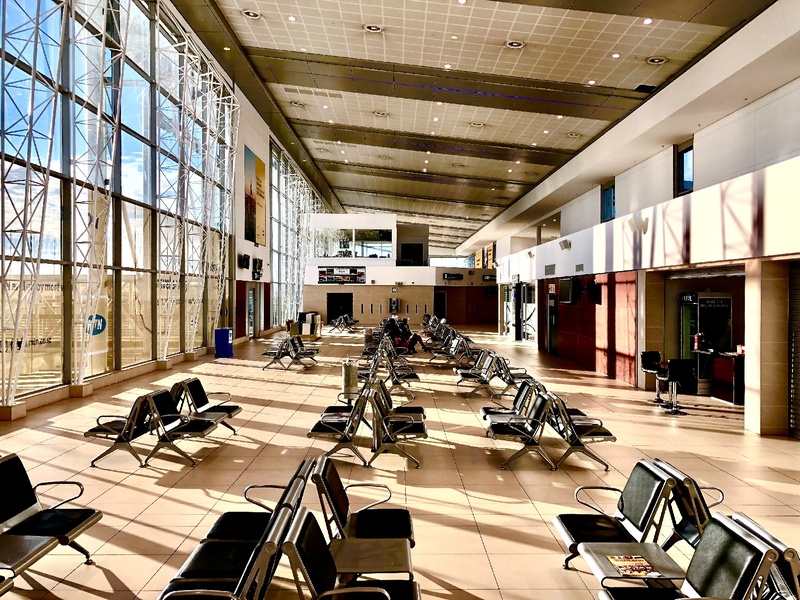 So many of the airports throughout the continent–even in the capitals–are old, small, dirty, dilapidated and outdated; which is why I just couldn’t believe my eyes that a country this small had such a magnificent airport! It was a jewel! 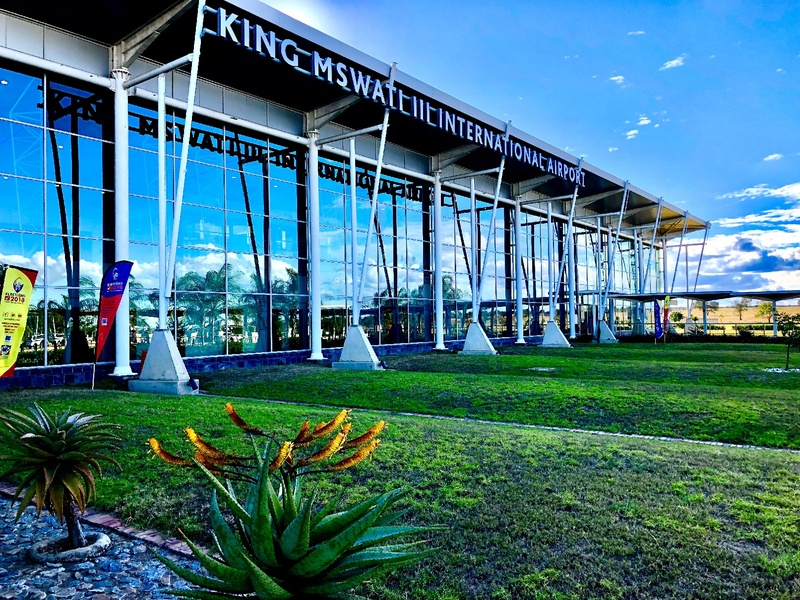 Behold: King Mswati III International Airport! It was nearly empty when I arrived. But look at that sky! So clean! Not one piece of trash. I had to call for a taxi, there were none! Luckily, the young man working at the tourism booth called a car for me. Sparkling floors and glass…and look at that magical sky outside! 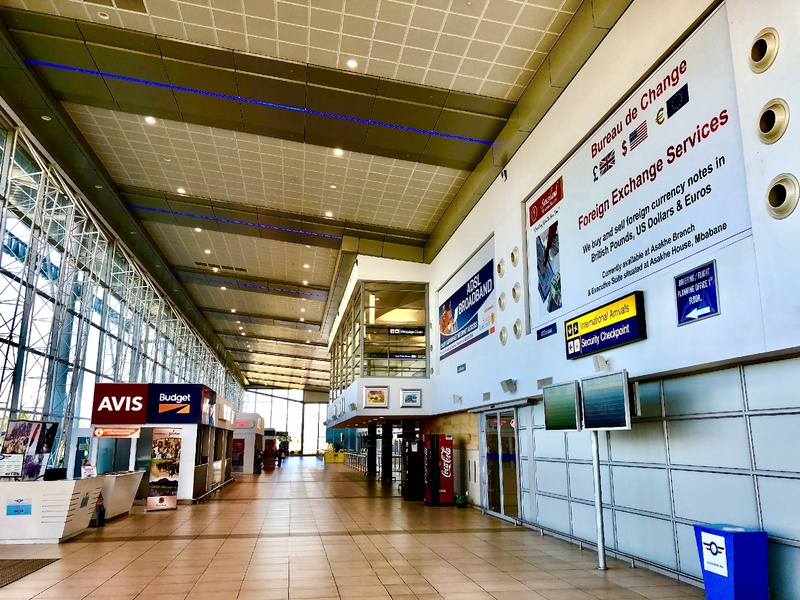 What’s crazy: just ONE airline serves this airport, Airlink. 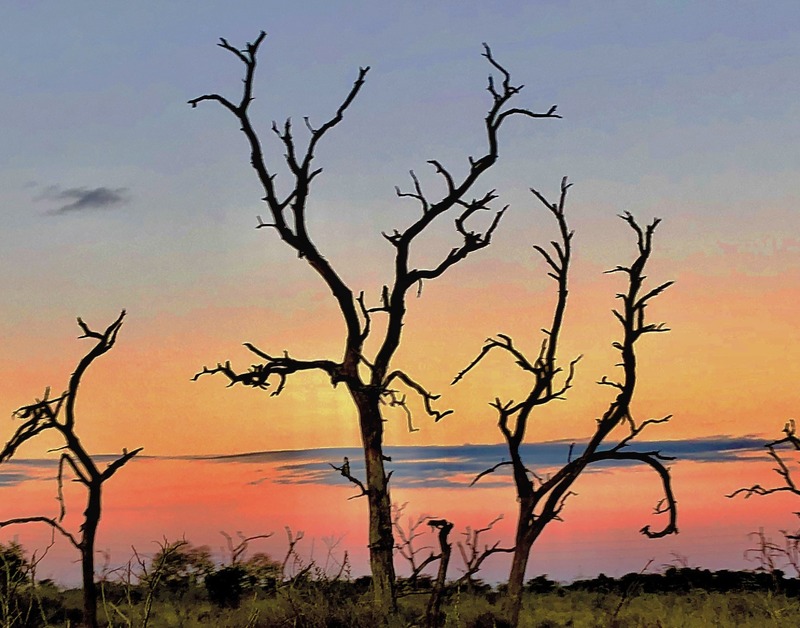 Crazier: just ONE destination – Johannesburg! Construction began in 2003 on this $150 million project. The Taiwanese government contributed USD 22 million to the project. Hi from the nice German family! It was great meeting you, I’m happy to follow your blog and read about all your adventures. Ahhhhhhh, YESSSS!!! So awesome to connect with you! My only disappointment is that we didn’t get a photo all together! Thank you so much for coming by, and please stay in touch. You are great people!